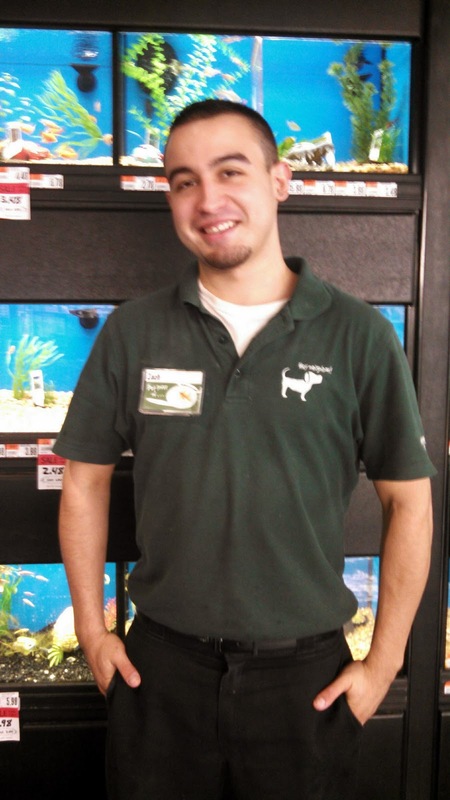 I am writing to share my experience with an outstanding employee of Pet Supplies Plus. His name is Zach from the Parma, Ohio store (#120). I came into the store today after my children unexpectedly got four goldfish at a local carnival. We always get our dog supplies there but have never had fish. I was in the store with only the knowledge I obtained online and I had a 4-year-old and a 6-year-old with me. I was greeted in the fish aisle by Zach and he asked how he could help me. I explained the him that my children had gotten four goldfish at the carnival the night before and unfortunately one did not make it through the night in the small tank I placed them in when we got home from the carnival. At this point I know that most people would blow us off because they were "just carnival fish" but I really wanted to take care of them for my kids. Zach took time to explain everything we would need and was very patient with my young children. I was very impressed with his customer service and knowledge. We now have a new large tank with all the extras for our special goldfish. They seem to now be doing great and are eating well now. We also have a knowledgeable resource if we ever need one. Shopping with two small children is never easy but Zach made it so much easier. I just felt I should acknowledge this experience and a great employee. Thank you for your time!